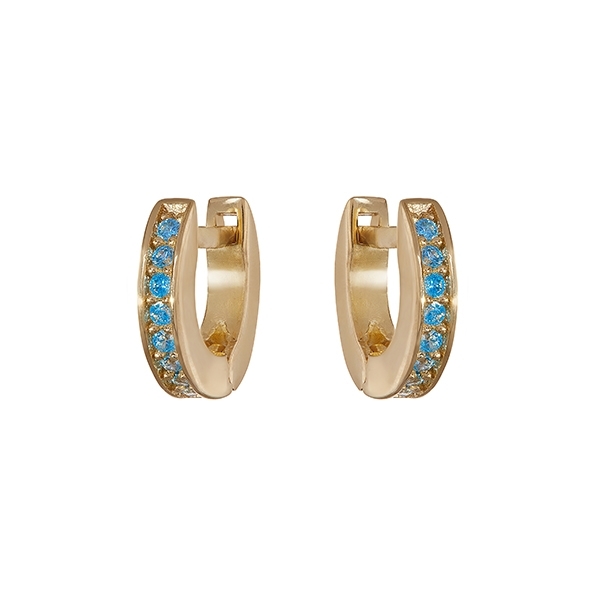 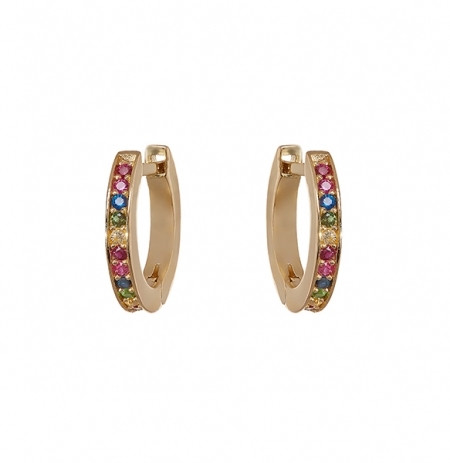 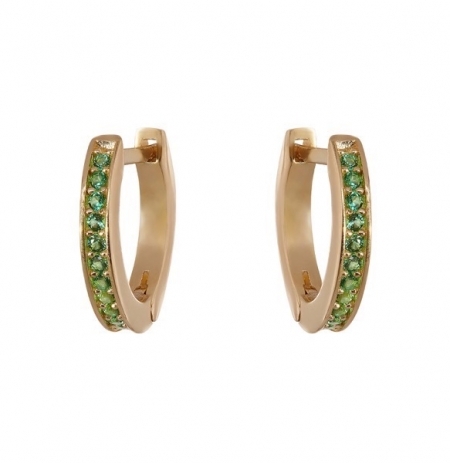 Alexandra Felstead huggies in solid 9kt yellow gold set with coloured gemstones. 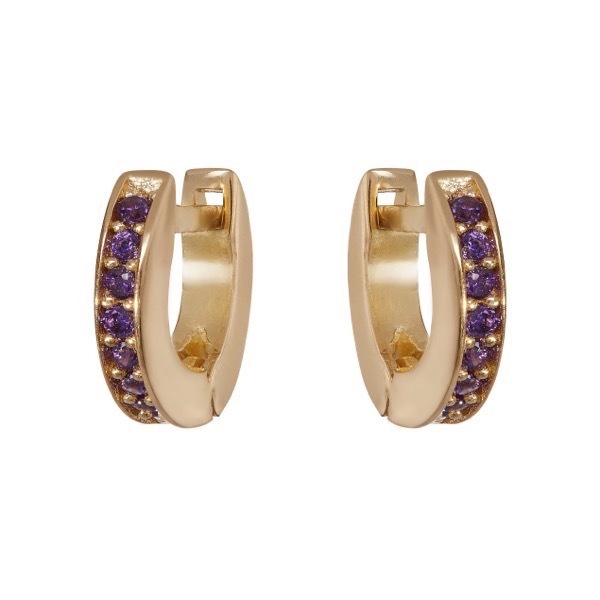 Binky selected the rainbow, yellow sapphire, purple amethyst and light blue topaz colourways for her collection. 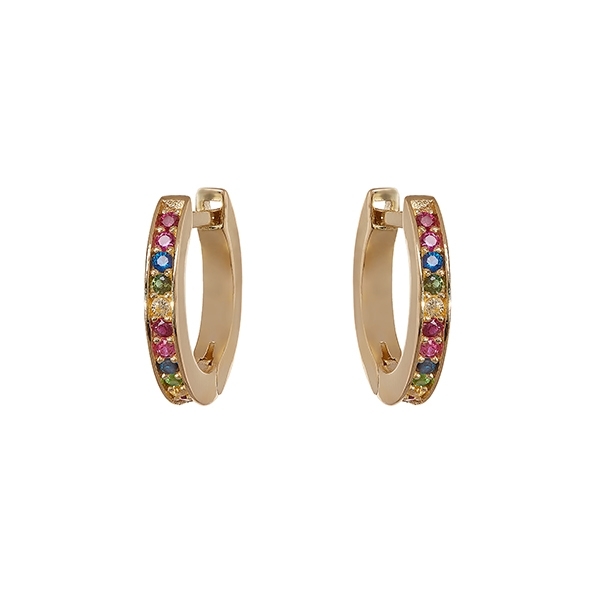 Other colours are available from the Philippa Herbert collection. 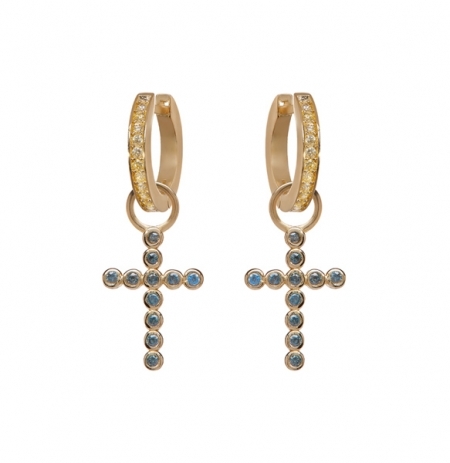 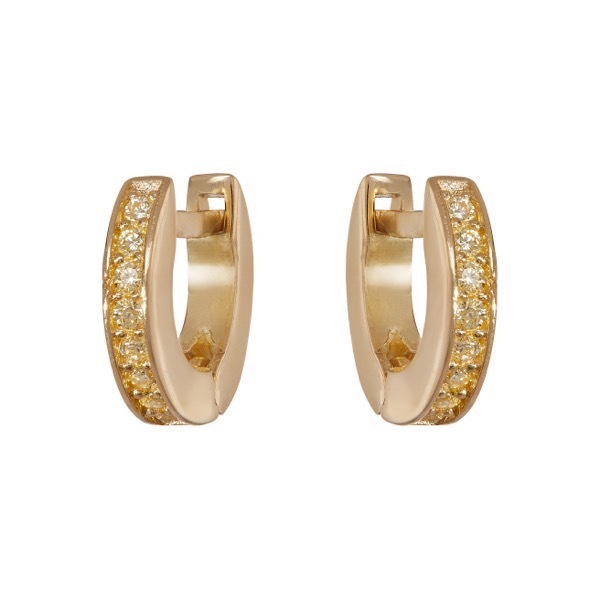 9kt yellow gold huggie earrings.